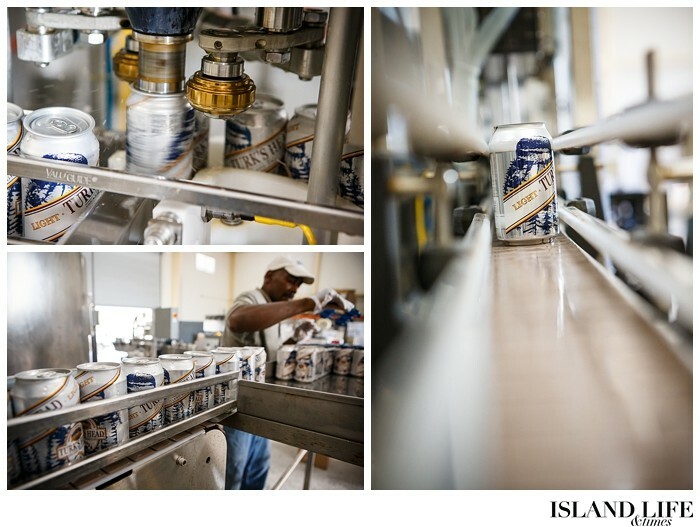 The ale and lager of Turks Head Brewery, the only beer brewed in the Turk’s and Caicos Islands, are products of art and science. 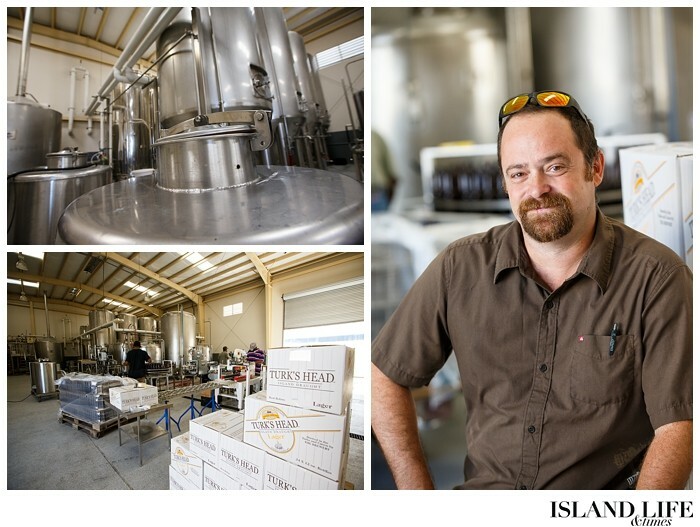 Brewing beer is much like cooking, says Eric Cardin, 31, head brewer for the Providenciales brewing operation. Yet it requires scientific knowledge in chemistry and biology. And the work isn’t easy. As head brewer, Eric puts in long hours of physical labor in an environment with heavy machinery for brewing, and dangerous chemicals for cleaning that machinery. 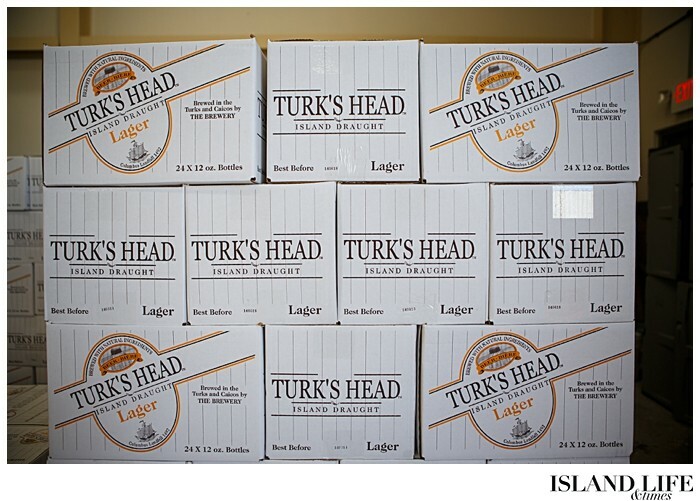 The brewery’s co-owner, Serge Tuyssuzian, opened Turk’s Head Brewery in 2001. 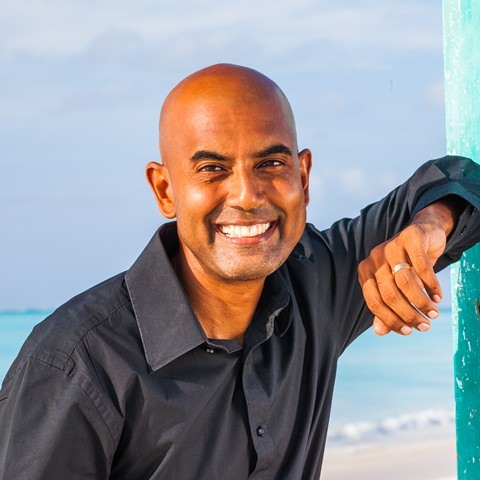 He already owned a water company – the now-defunct Caicos Pure Water – and thought a brewery would be an appropriate addition to the island. 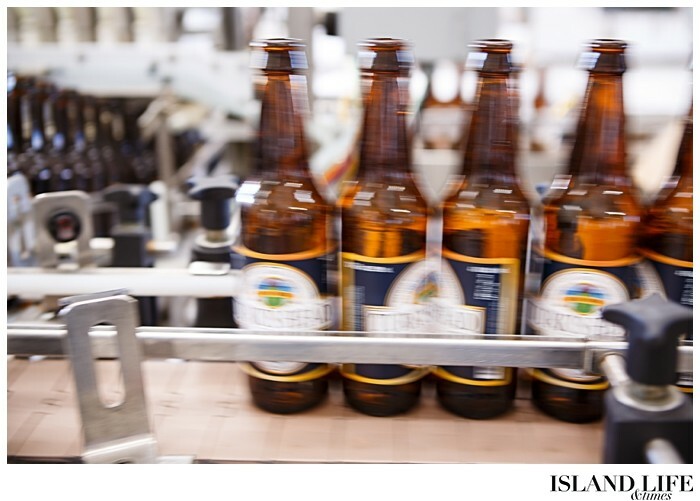 The brewery is certainly small in comparison with big-name breweries around the world, but the new-and-improved brewery, which opened in July 2013, is nothing to scoff at. 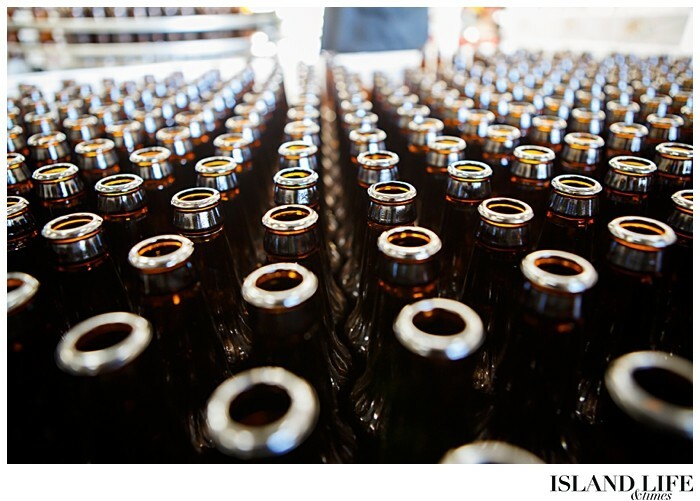 Inside the brewing operation are four 80-barrel fermenting vessels, two 40-barrel vessels and two 20-barrel vessels where the product spends a week fermenting, and then up to three weeks aging before it is filtered and packaged. An 80-barrel tank holds about 1,000 cases of beer – that’s 24,000 bottles. 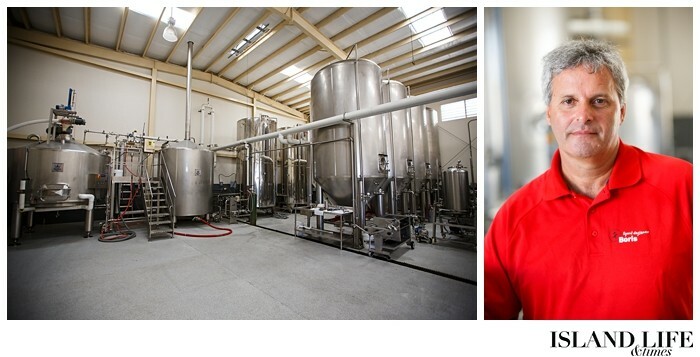 The brewery produces two different kinds of beer – an amber ale and a lager. Certain seasons call for different beers, too. 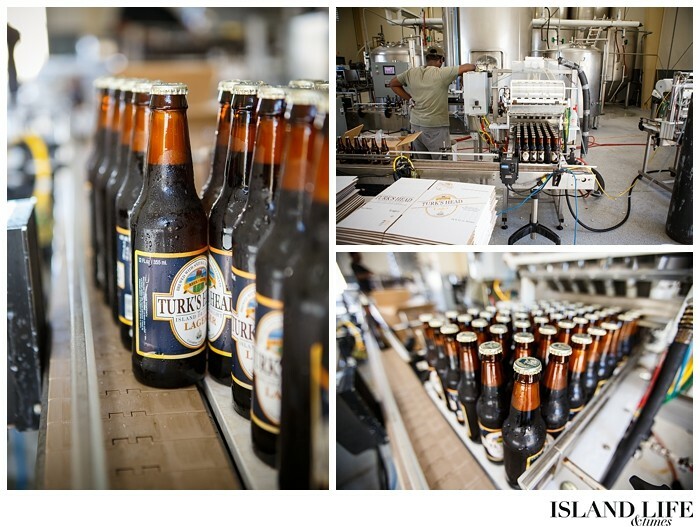 For example, the brewery produced a stout earlier this year for St. Patrick’s Day. 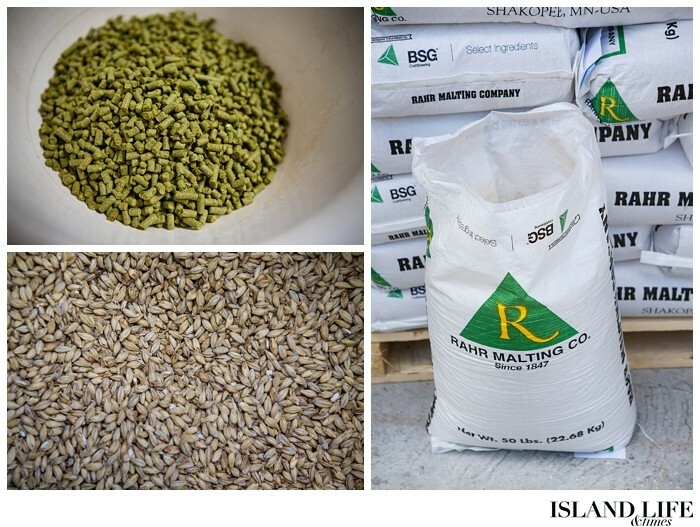 Each beer calls for different kinds of grains. After the grains are milled, the milled grains are mixed with warm water to extract sugar. This sugary liquid is then transferred to a kettle, where it’s boiled. Hops, which provide additional flavors and aromas while imparting bitterness, are then added to the boil. 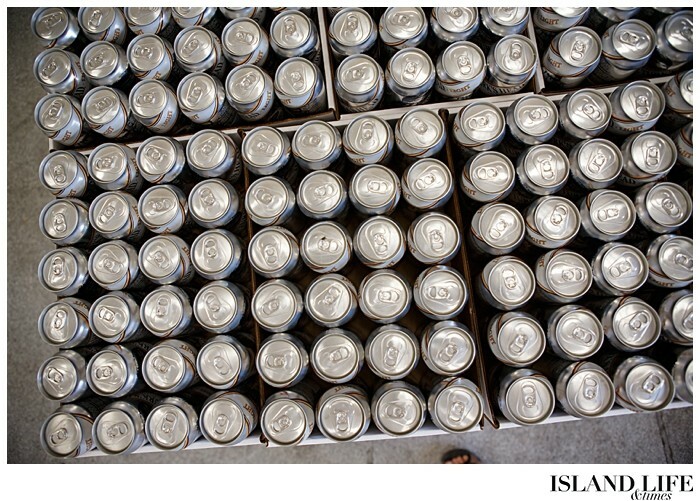 The type of hops added, and when they’re added, depends on the type of beer. 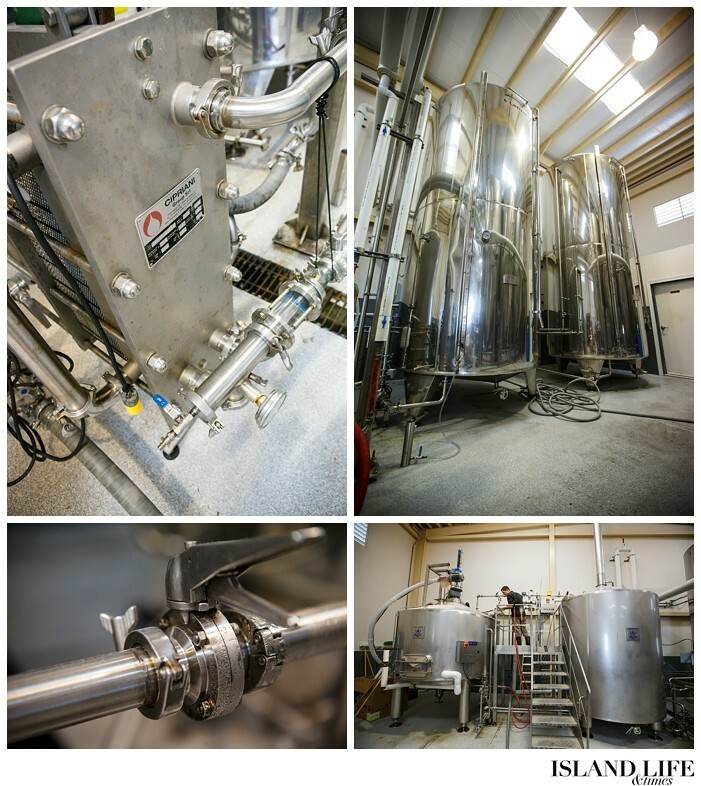 The beer is then transferred to a tank to ferment, at which point the yeast is injected into the concoction. 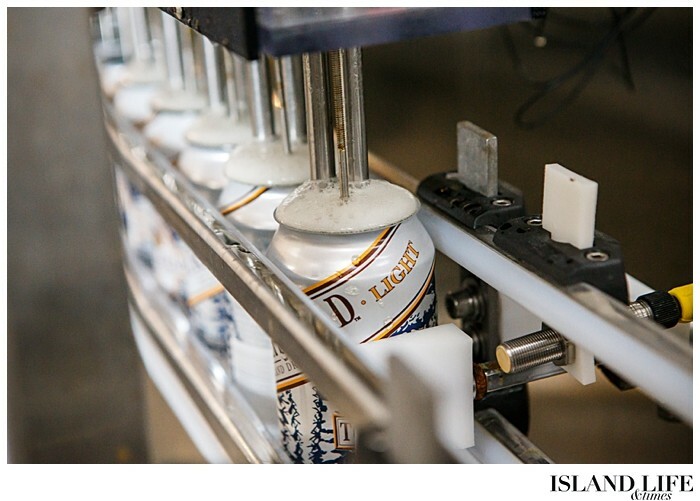 After fermentation, the beer is chilled, filtered and carbonated before it’s packaged. Eric, who began working at the brewery in July, brews alongside Claude Durand, 53, who has worked with the brewery since 2004. 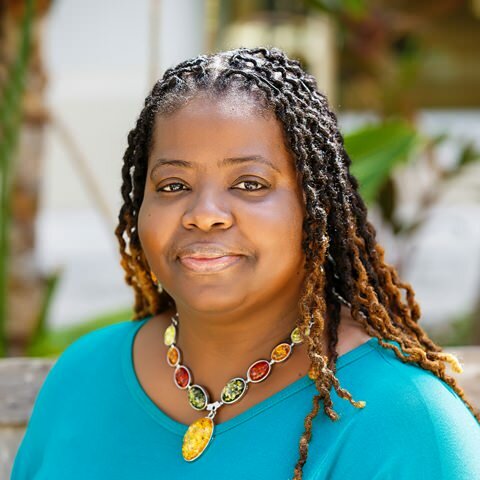 Claude has worked in the beer-brewing business for nearly 20 years. 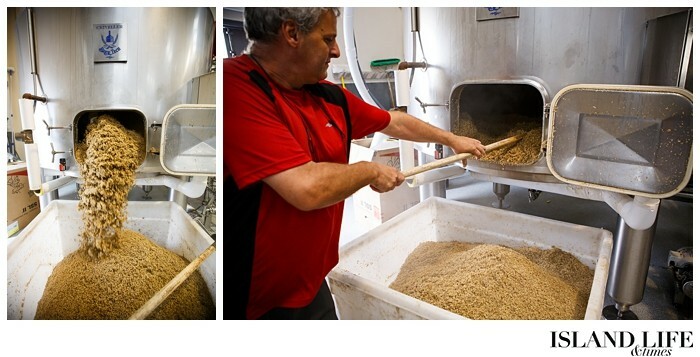 It’s the act of creating something from scratch, Claude says, that draws him to brewing. 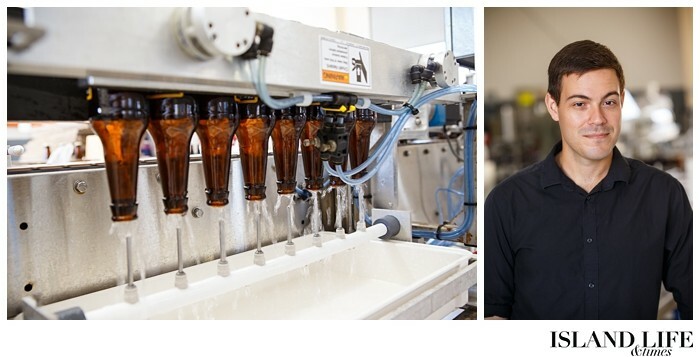 Eric, meanwhile, had been brewing beer as a hobby for years before attending Niagara College Teaching Brewery in Ontario. 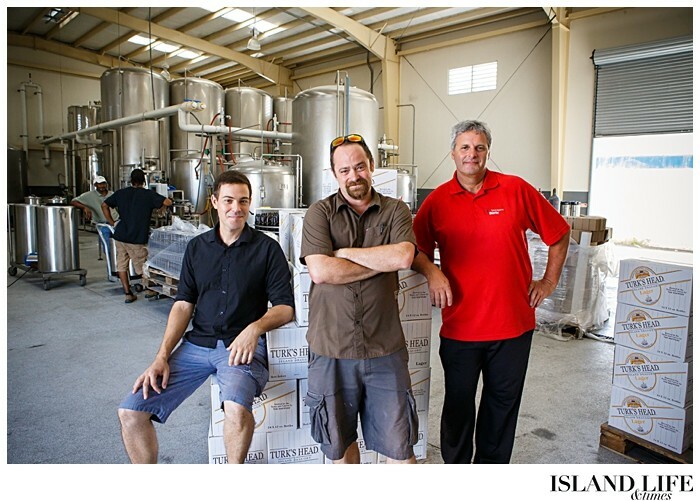 Once Eric and Claude’s work is done, the beer also is bottled and canned at the brewery before being sent off to local liquor stores, grocery shops and restaurants. 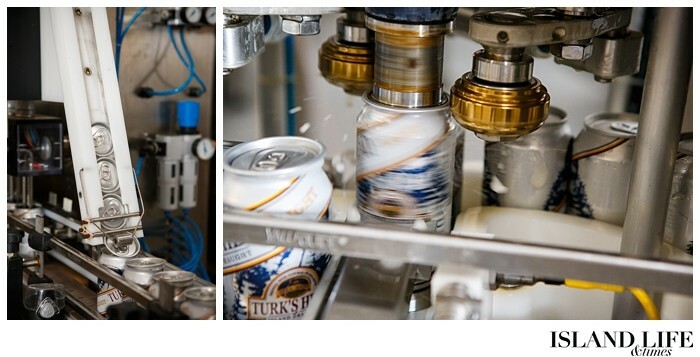 The brewery’s canning machine produces 32 cans a minute, while the bottling machine produces 17 bottles a minute. 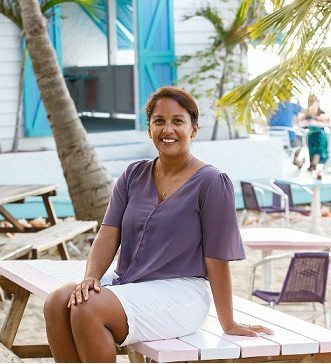 The result is a little taste of the Turks and Caicos in the form of cold, bubbly, flavorful beer. David Bozzer, manager of the brewery, says plans are in the works to eventually offer brewery tours. 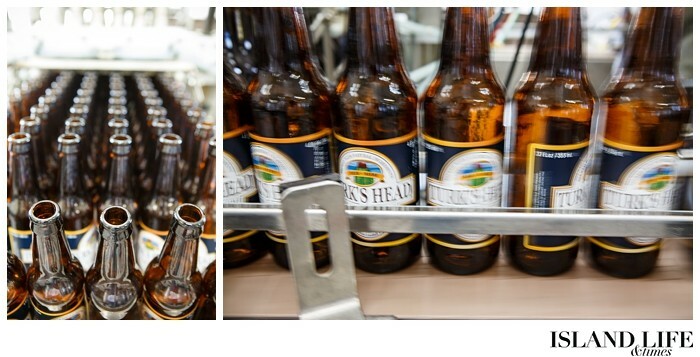 For now, though, visitors will have to stick to drinking their Turk’s Head beers on the beach. 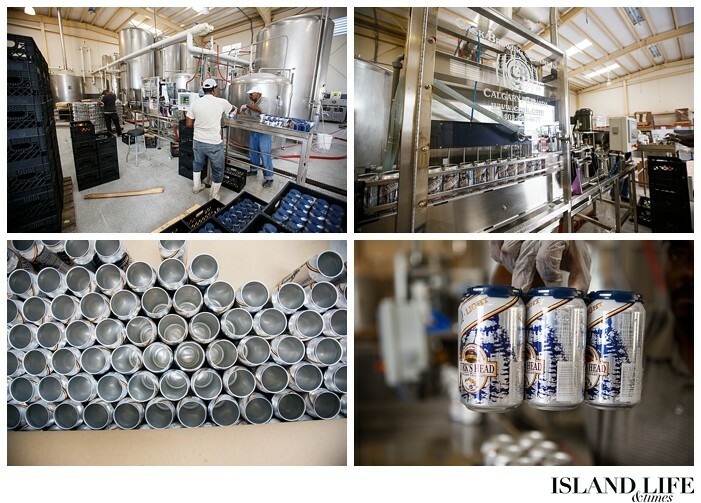 “Someone once told me you can’t even have a country without having a national beer,” David says.